While the plummeting price of wonderful tools like the 5D Mk II, the Nikon D3s, and the RED have created interesting opportunities in the world of video, they have also left many people contemplating the falling trees and failing to note the remaining forest. I hear it trumpeted. Now everyone with a DSLR can make their own films! This is not an entirely positive sentiment. I view it akin to saying that the prices of scalpels have plummeted, so now everyone can perform their own ACL surgery. No thanks. In the narrative arena, there is usually one reason a script isn’t made into a movie. I worked as a reader at Universal and almost everything in the slush pile was…well, the industry term would be “crap.” There are the occasional great scripts that don’t have enough universal appeal (no pun intended) to get funded, but these are the rare exceptions. Contrary to popular belief, Hollywood runs out of piles of great scripts before they run out of piles of money. As for making something “look good” – that’s been an almost foregone conclusion in the world of Hollywood features. That you can sometimes make something look good on a tiny budget is great…but it’s only a budgetary concern, not a creative one. The DSLR crowd is mixing up directing (director) and shooting (cinematographer) and pro’ly studio exec. While it’s remarkable that a 5D Mk II has a frame that is close to Super 35 and only costs $2k and doesn’t eat up your budget 400′ at a time, it’s still just a tool – and not always the right one. Filmmaking truly takes a village. I loved When Harry Met Sally. Barry Sonnenfeld was a great cinematographer (who went on to become a great director), but take away Nora Ephron’s script, or Billy Crystal and Meg Ryan’s chemistry, or even Bruno Kirby and Carrie Fisher – and it’s a very different film. If you could shoot those night scenes at 1600 ISO without big 20k lights on Condors, that would certainly lower your budget…but it has nothing to do with making a great film. I hear many aspiring DSLR directors (can’t bring myself to say videographer) discuss cameras and cheap Steadicams and dynamic range – all reasonable technical concerns. Yet I never hear these people discuss a weak third act or a flat character arc. I can solve a dynamic range problem with a couple silks and some HMIs – no problem. A flat character arc is going to take more than a bigger lighting package to fix (although that is the solution that some directors use). I did a portrait of a cinematographer named Matty Libatique awhile ago. We got to talking about his start in the business. He had found himself somewhat adrift in Los Angeles and decided to direct a short film because that’s what all his friends were doing. However, with every shot he was obsessed with getting the angle and the lighting and everything “just right”, but found himself less interested in discussing performances with the actors. 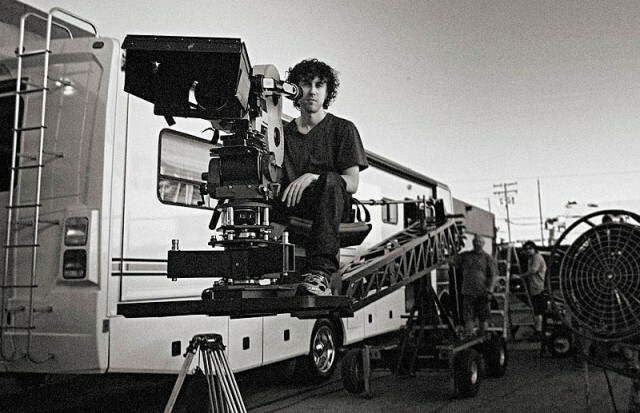 At some point during the film, he had an epiphany and realized he wanted to be a cinematographer and not a director. The DSLR revolution is great for film the same way the computer was great for writing. It’s much easier now to sit down and write annoying blog entries on my computer than when I would’ve needed some serious cash to pay for all this papyrus (talking about the ancient times before Web 2.0). Nonetheless, that doesn’t make me a brilliant author – it just makes me an annoying guy with an opinion and a blog. Hmmm. I think I just made the case for papyrus. 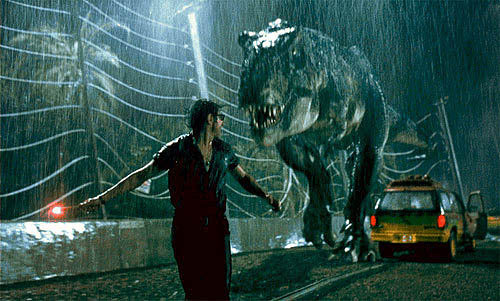 As special effects technology has gotten cheaper, Hollywood has rushed to embrace genres that were once niche products. 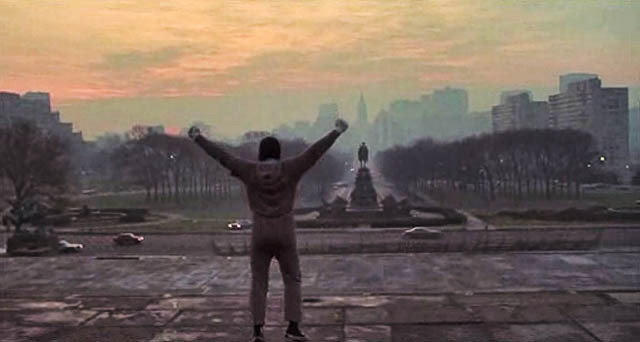 At one point, an action blockbuster that stretched the laws of nature meant Rocky Balboa taking 43 million punches with the only adverse effect being a slight speech impediment. Yet in the last ten to fifteen years (probably dating back to the Matrix), science and technology has gone mainstream. Before that, mainstream movies that glorified science and technology were few and far between. Movies like Terminator 2 had universal appeal, but most science fiction movie audiences fell into more stratified demographics (which, let’s face it, is a fancy term for geeks) like the Star Trek audience. Even critically acclaimed movies like Blade Runner or 2001: A Space Odyssey were rarely box office smashes to the extent of a Ghost or Pretty Woman. There’s a real distinction between a movie like Titanic that uses a ton of effects to tell a non-scientific story, and a movie that actively promotes science and technology like The Matrix. The movies that I am singling out are the ones that actively discuss and exhibit technology on the bleeding edge. All things that good science fiction novels do. All the genuine advances in science and technology have made these special effects extravaganzas possible. Bringing comic books and science fiction to life can be done with incredible special effects, unfortunately often at the expense of incredible storytelling. Yet we live in an age where all kinds of *genuine* science and technology strides are being made, and they are rarely well incorporated. 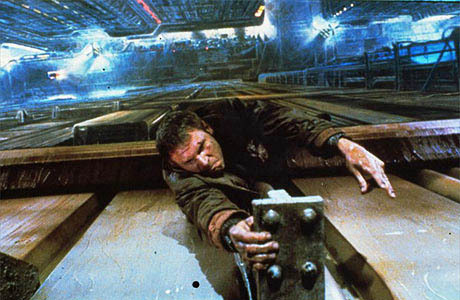 When writers make an effort to plausibly advance technologies in their films, the result can be sublime. One of the things that made Michael Crichton’s storytelling so compelling was not just his gigantic characters – it was also a vigorously researched and carefully advanced technological view of the world. His Jurassic Park concept for how dinosaurs could be clones was plausible – at least plausible enough that you didn’t have to ignore truck sized holes in the plot. It’s okay to ask the audience to believe in one implausible event if it’s integral to the story. A superhero origin, a crazy coincidence, an unlikely pairing. Yet Hollywood often assumes that if it can get away with one implausible event, then it’s okay if everything in the movie is unmoored from reality. This is what separates brilliant movies from pedestrian ones. You can still make money with a well cast and produced film, but to have a real artistic impact – you can’t ignore all the laws of nature. That’s a law of artistic impact.